AddictiveJewelry | Baby Baptism Jewelry, First Communion Jewelry, Confirmation, Personalized Rosaries, Personalized Religious Jewelry, Inspirational Jewelry, Mothers Bracelets, Grandmother Bracelets, Name Bracelets - Picasso Jasper Personalized Rosary - Great for Boys! 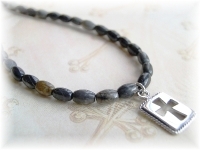 Picasso Jasper Personalized Rosary - Great for Boys! 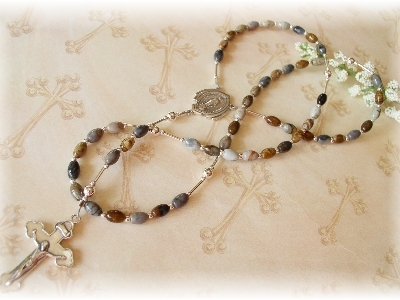 This rosary is created with attractive Picasso Jasper gemstones and sterling silver accents. 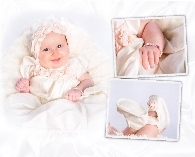 A favorite choice as a Baptism, First Communion, Confirmation or Graduation gift for boys. Beautiful plain ($90.00), or make it extra special with personalization! This attractive rosary is created with 4x7mm Picasso Jasper gemstones and sterling silver components. A favorite choice as a Baptism, First Communion, Confirmation or Graduation gift for boys. 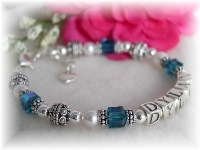 It is handsome plain, but why not make it extra special with personalization! 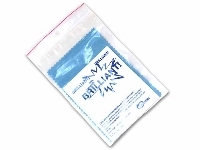 Personalization is available (up to 10 letters/numbers/spaces per decade) for $3.50 per letter/number. "My Rosary" beautiful sueded-cloth rosary case in navy.